A 36 y.o. 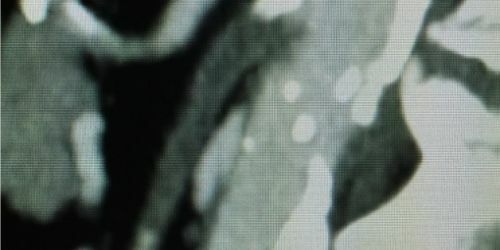 female with a right brachial-cephalic upper arm direct hemodialysis access presented with symptoms of central venous hypertension due to severe stenosis at the transition between the right brachiocephalic vein and the SCV. 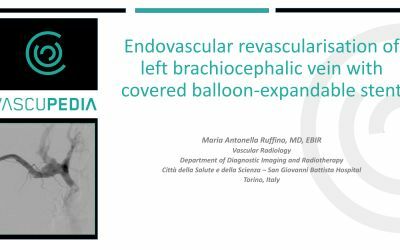 After PTV of the lesion, due to residual stenosis, a balloon-expandable covered stent (BeGraft Peripheral, Bentley) was deployed restoring the lumen. 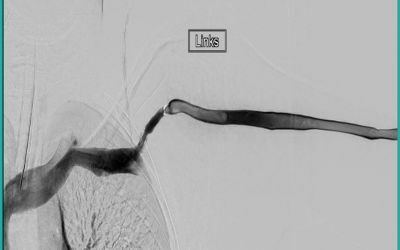 The CT-angiography performed 19 months later confirmed the patency of the stent-graft. 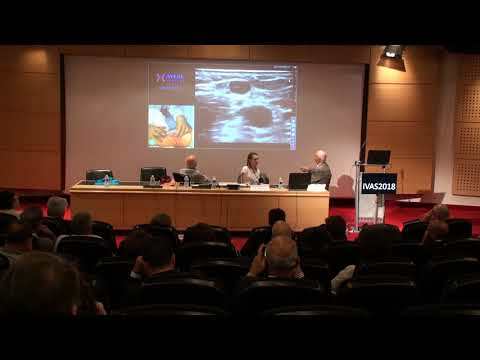 Dr. Mallios (Vascular Surgeon, Paris) demonstrates in a complex live case the percutaneous creation of an arteriovenous fistula with the Ellipsys system (Avenu Medical) and discusses with the experts all relevant steps of the procedure. Dr. Franco summarizes all important information about hemodynamics after open surgical and percutaneous AVF creation. 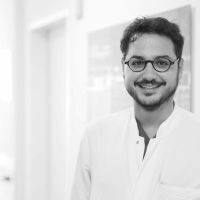 Especially, as regards the latter, he explains why pAVF leads the physicians to think out of the box and re-define all aspects about maturation, high-flow and steal phenomenon. 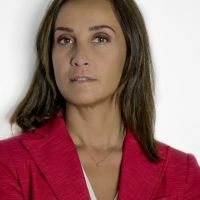 Dr. Hebibi (nephrologist, Paris, FR) demonstrates her real-world experience with the percutaneous arteriovenous fistulae. 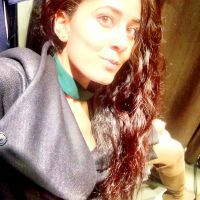 She presents recorded videos from the cannulation of the fistulae and discusses important technical aspects, which are important for every nephrologist. 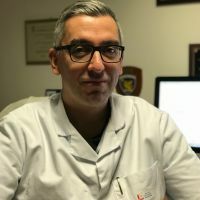 We are delighted to offer to our Vascupedians the opportunity to watch again the first live case of pAVF creation in the most important vascular access meeting in the world: CiDA. 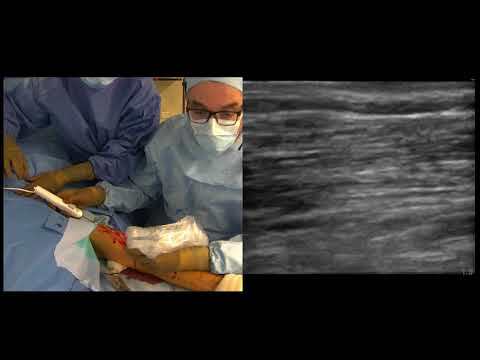 In this completely unedited video Dr Mallios creates a percutaneous AVF with the Ellipsys Vascular Access System (Avenu Medical Juan Capistrano CA USA) between the proximal radial artery and the deep communicating vein at the level of proximal forearm. Endovascular treatment of the dysfunctional dialysis access resembles the “Myth of Sisyphus”. The cycle of stenosis-treatment-restenosis keeps going on and on. DCB technology promises to slow down the process of restenosis and thus, extend the period between interventions. 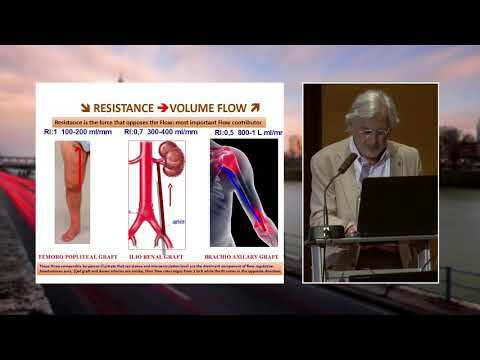 This presentation is an overview of the current literature on DCB use in the treatment of dysfunctional dialysis access. Enjoy! 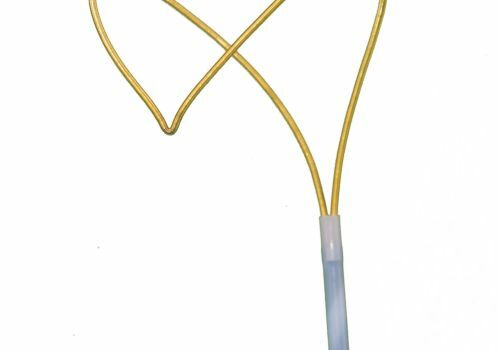 Drug coated balloon (DCB) angioplasty has been proven a valuable tool in the treatment of femoropopliteal PAD. 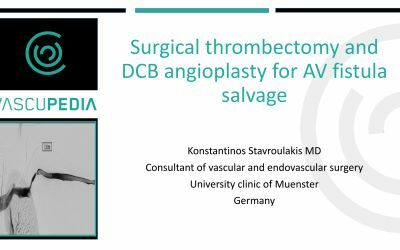 But do we have enough data to support the use of DCBs in AV fistula salvage procedures? 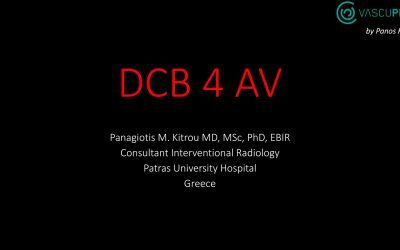 In this case DCB angioplasty was performed to treat a post-thrombectomy vein stenosis. Case courtesy of Prof. Dr. med. 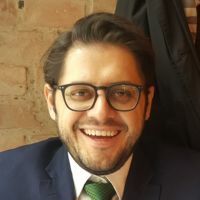 Frank Dellanna from DaVita Clinical Research Deutsch GmbH Dusseldorf, DE. 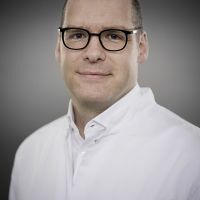 The everlinQ and everlinQ 4 endoAVF Systems have been issued European CE Mark and Health Canada Medical Device License for the creation of an arteriovenous fistula for hemodialysis and are not approved for sale in the United States. 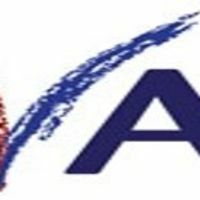 Over the last few years, we have seen emerging technology aimed at the management of AVF thrombosis. 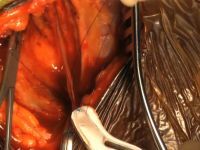 Some have been developed from cardiac and neuro-intervention methods and techniques. The following slides demonstrate some of these systems, along with a case using one of these devises to remove AVF clot. 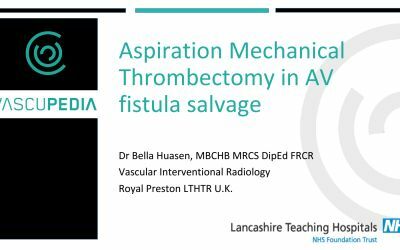 The aim is to give clinicians insight to an alternative management and to raise constructive discussions on the future of Thrombectomy methods. Dr. Rob Jones of Queen Elizabeth Hospital in Birmingham, UK creating an AVF for hemodialysis access using an endovascular approach with the everlinQ 4 endoAVF System. 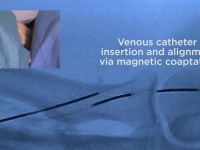 The everlinQ and everlinQ 4 endoAVF Systems have been issued European CE Mark and Health Canada Medical Device License for the creation of an arteriovenous fistula for hemodialysis and are not approved for sale in the United States. 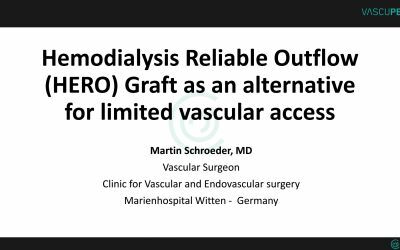 This presentation describes the characteristics of the HERO graft as an alternative for central vein obstructions, exhausted venous situation, recurrent occlusions of dialysis catheters or AV access at the groin. It includes a case report as well as a review of the current literature. 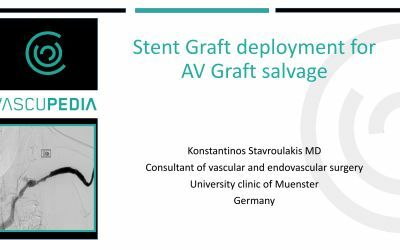 Despite the growing prevalence of end stage renal disease, AV Graft/ Fistula salvage procedures are still understudied. In this case a stent graft was used to treat an In-Stent-Restenosis of the innominate vein.